Mark Meckler appears on today’s show with Jason Hartman. He is the co-founder of the Tea Party Patriots and is the first tea party member to appear on Jason’s show. Mark breaks down why the tea party is hated so much, he also talks about changing the constitution to limit government power, the growing desire to not be controlled by our government and more. 1:15 – Mark started protesting in 2009 and created the Tea Party that same year. 4:00 – Mark and associates hosted the largest multi-city protest in world history to date. 6:45 – Jason asks why do people hate the tea party so much? 12:10 – Is a balanced government budget wise? 17:10 – Mark explains how an amendment convention would work. 21:00 – People are in big support for the amendment convention and Mark lists some famous names in politics who want to see it happen. 24:00 – There are a lot of democratic states who are voting for republican representatives. 27:10 – Will we see a secession in the United States? 28:50 – Technology is dissolving a lot of government power. 30:10 – Remember, the larger the government, the smaller the citizen. Politics was meant to be your civic duty, you do it, and then you go back to your business. Nobody is going to save the country except for you. The Liberty Amendments by Mark Levin. 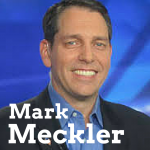 It’s my pleasure to welcome Mark Meckler to the show. He is the president of citizens of self-governance and co-founder of the Tea Party Patriots and author of Tea Party Patriots the second American revolution. Mark, welcome, how are you? I am fantastic even better being with you. Good stuff, well tell us a little bit about the citizens of self-governance. Sure, well I come out of the Tea Party, as you know, I was uninvolved until Tea Party movement started and I was one of those folks who was darn fed up and stood up and started protesting in early 2009. I kept standing up and protesting and ultimately that lend me to the helm of an organization called Tea Party Patriots, which we founded sort of at the go forward grass roots center for the Tea Party movement. We built that organization to over 32,000 chapters and 23 million members around the country and then I stepped away from the organization about 2 and a half years ago because I wanted to broaden the base. It was my opinion at that point that the Tea Party brand had reached it’s z-nit, it’s still a great brand, but its reached this point where a lot of people believed in the ideas, didn’t identified with the brand. The brand has been vilified. I knew when I went out and talked to people, they believed in capitalism, free markets, they believed in the constitution and they believed in limited government, really. So, when I talked to people about that, I’d say, oh, so, you’re a Tea Partyer, a lot of them would say, no. I don’t like the Tea Party. Well, if I said, so you’re in favor of self-governance, they’d say, yeah, absolutely. I’m a self-governance person. That’s why I founded citizens for self-governance. It’s the idea of broadening the appeal of those ideas beyond on the brand of the Tea Party. So, I’m curious, when was the Tea Party founded, 2008? Actually, offically, it got started, Rick Santelli did his now famous rant in early February of 2009. What happened is Santelli calls for Tea Party on the shores of lake Michigan, he calls for it in July. Bunch of us get on the phone together and say we can’t wait that long, so a week later February 27th 2009, we held the first series of tea party protests around the country. There were 35 of them around the country, which the one I held was in Sacramento is one. About 39,000 people came out, then a group of us got together, actually 5 of us, should do it again and that’s how we planned the tax day tea party, which took place on April 15th 2009. That was really the bigger that most people know about. We’re 850 tea parties around the country over 1.2 million people came out. Actually, historically making it the largest multi-city simultaneous protest in world history. Wow, that’s amazing. Give those numbers again. April 15th 2009 there were over 850 organized tea parties around the country protesting government run a muck. Total number of people independent to those tea party roughly 1.2 million, making it literally the largest single day multi-city protest in world history. No, you and I are on the same place on that. As Occupy Wall Street was sort of ascending the center stage, I had friends participating and I provided some guidance to them, but the problem was that they wouldn’t police their own. See, the tea party has been extraordinary about policing its own. If there are any problems that ever pop up then everybody around that person, you know, you talk about crimes being committed and even litter, it’s a self-policing movement, no body allows that kind of stuff. Occupy Wall Street was exactly the opposite it became anything goes, drugs, alcohol, literally child abuse, there were rapes, there were all kinds of crimes. So, the movement sort of ate itself alive due to like of self-policing. Yep, that’s true. So, I’m curious, why do people, some people, hate the tea party so much? I mean, it seems so inline with the concept of founding of America, did they just hate the original intent of the founding fathers? Is that..you know, you hear this real hatred from the left. I mean, liberals just love to hate the tea party. I don’t really understand what their problem with it is. Yeah, I don’t think you could understand, because frankly it’s not rational. If you talk to people on the left and you explain that the tea party has got free markets and capitalism and it’s about the constitution and the love of liberty, they’re all in favor, but they’ve been listening to MSNBC and CNN and they’ve been listening to people who call us racists and crazy and backwards and all that stuff and that’s what they know. So, if you actually get into details, you talk to people who quote unquote hate the tea party, they don’t have any details. They don’t have any specific reasons. It’s a narrative and they’ve bought into particular narrative. It’s one of the reasons I spend a lot of my time personally going out to the left and speaking to the people on the left and going to meetings on the left and demonstrating to them that the tea party and even the American conservatives is not what they think it is. It’s true. It’s interesting. I think that the left and the right is, I mean, it’s largely a fake debate. It’s like a wrestling match on television. It’s show business. It’s really probably designed by the powers that be to divide people and people have a lot more in common than they think they do. So, if you look at the right, they want limited spending and limited regulation. If you look at the left, well, they might want some free stuff and some spending, but they definitely don’t want to be regulated too much. So, why can’t people come together? Well, I’m with you. The reason that they struggle to become together is exactly what you identified, you did it really well. I call it the profitable politics of hate. It really is important to the politicians that democrats haste republicans, liberals hate conservatives, gay rights folks hate marriage and family folks, religious folks hate secularists and vice verse. These are tools that the politicians use to maintain their power and their tools that the media uses to make money. So, if we go on TV and I go on Fox News like I go on regularly, a lot of the times that they want us to yell. Oh the evil Fox News, really? Oh my gosh. On the other hand, I go over to MSNBC and I sit on the air with Chris Matthews on Hardball. Both cases what they’re trying to do, often, is foam at the hatred. I mean, there are exceptions, there are people who I would consider straight up journalists, not many, but most of the shows they apply their trade in hate and they want you to come on and yell at the left and call the left names and I just don’t buy into it, because my neighbors, some of them are conservative and some of them are liberals and by enlarge they’re good people who have very similar values. They might differ a bit politically, but they are much more similar than dissimilar. I engage in this exercise and I know you know all the stuff I’m about to say, but it’s important for your listeners when they’re talking to people with different ideologies. If I’m speaking at an event on the left, I always ask them how many people in that audience voted for continuing trillion dollar deficits. You know, no body has ever raised their hand. This is the left, right. Then I say, well, I don’t understand, because my representatives seem to keep voting for it and so do yours, so why? Then I ask, how many in the audience think we have the best education system in the world. The money is going spot on right where it should be to the kids and it doesn’t matter whether I’m at a tea party or moveon.org type event, no body thinks that we’re doing right. When I asked about criminal justice, how many people in the audience think we have the best criminal justice system in the world and when I asked the question, which is that the war on drugs has been a tremendous success and you know what? No body raises their hand. If I’m at a tea party event it’s so weird because I was at the liberal event last night and none of them think we have the best justice system, the best education system either, so I’m not sure what’s going on. Am I liberal, are you guys tea party? I’m just confused. The reality is we all believe a lot of the same things and it’s not good for the politicians to let us know that, because then they can’t keep taking away our liberty and our money, frankly. Yep, that’s for sure. The bigger gain is beyond either of those. Okay, so, tell me about your idea for not a constitutional convention, but many you can explain what that is and explain what you’re trying to do. Sure, so, the main project being pursued for self-governance is called convention of states. It’s founded at ConventionOfStates.com. The idea is this, under article 5 of the constitution, that’s where we get the power to amend the constitution. There are two ways, one is congress has the power to 2/3rds of each house to propose amendments, which then go out to the states to ratification back 3/4s of the states. That’s one way, that’s the way we’ve always amended the constitution, but you know, during the convention in 1787 and the last couple of weeks when they were winding down, George Mason stood up and he noticed that we had forgotten to include the right of the people to amend. He said, you know, this is outrageous, because do we really believe if congress and the president of the government ever becomes a tyranny that the government would propose such amendments as would it restrains its own tyranny. The wisdom of that position was so profound that Mason’s notes reflected there was no debate. It was adopted unanimously, one of the few things in the constitution to be adopted unanimously to give the people the right acting through the states, the sovereign states to call an article 5 amending convention specifically for the purposes of restraining the tyranny of the federal government. I think most people, frankly, left or right, agree that the federal government has become a tyranny. They’d like to see it restrained. 60% of Americans say that the federal government is too large. So, the only way to do it is we call it, we call the convention, and we do that, 34 states file an application and 34 states do so and then there’s a convention of the states. We’re doing that right now, literally. Again, people can read about it at ConventionOfStates.com. That convention has already been called for by Florida, Georgia, and Alaska looking likely to get that done here in Ohio very shortly. We have legislative sponsors of upwards of 25 states going into 2015 session. So, my expectation is what people is going to see in 2016 is something extraordinary besides the presidential election. What they’re going to see is this citizens of this country actually call an amending convention and meeting convention. In other words, do an end run around the president, the congress, and the courts. We’re going to tell them what the boundaries for what the government is without the federal government’s input. Okay, so, what is this amendment look like exactly and what’s it called? We don’t know exactly what amendments will come up. What are germane for discussion during that convention or amendment that would restrain the scope, the power of the jurisdiction of the federal government, amendments that would impose fiscal restrains on the federal government or amendments that would impose terminal events of the federal governments. So, any of those things can be discussed. We don’t know exactly what amendments could come out of it. I can tell you what I think. I think for sure what will come out of is a balanced budget amendment of some sort. 80% of the American public support that right now. I think we’ll get..
I’m curious before you move on to amendments, which I would love to see. I mean, that would, God, we need term limits so badly. Politics was never meant to be a career. It was meant to be your civic duty and you do it and then you go back to your business. A majority of Americans agree with you. As far as a balanced budget amendment, I’m kind of wondering if that’s even possible. I’m also wondering, believe it or not, if it’s even wise. The way reason why I say that is, look, if I as an individual had to balance my budget, for example, at times, especially as I was younger and starting out and buying lots of real estate and rental properties, you need to extend yourself to do a bigger thing and the government is totally out of control obviously, but I think there are short times and good reasons occasionally; not as a standard practices as we have now engaged in for way too long; to be imbalanced. No, I think you’re right and every balanced budget I’ve seen proposed has exceptions for national emergencies and various kinds of military emergencies and, you know, financially market collapse type emergencies. So, exactly what the restrictions should be, exactly what those emergencies look like, I don’t really know, but what I do know is a bunch of smart people, citizens, who might have immense faith are going to get together in a convention and they’re going to discuss what those exits and circumstances are. I’ve never seen a balance budget amendment seriously propose that didn’t contain those out clauses. Now, I have my concerns about those too, because basically what it means we’re going to end up ultimately turning that over to the court. They’re going to litigate are we in a national emergency. What does it mean to be in a national emergency. So, I’m a little bit hesitant to turn it over to the courts, but I’m hopeful and I have a strong belief in the wisdom of the American people that when they get together in convention, they’re going to find some good solutions to those questions that propose a good solid balanced budget and with the right exceptions. So let’s talk term limits. Term limits, what a wonderful idea that is. So, here’s an interesting bit of history that I think a lot of people don’t realize. We actually buy proposition initiative past term limits that are congressional delegations in 23 states around the United States. In 1985, in US versus Thornton, the supreme court told us that we weren’t allowed to pose term limits on our congressional delegations. I think that’s outrageous. I think it was a bad decision. Kennedy went the wrong way on us in that case and he hasn’t, frankly in my opinion, in many cases, but the bottom line is supreme court prohibited us from limiting the term. The only way we can get those term limits is through an article 5 amending convention. We can actually amend the constitution so that it imposes specific term limits on federal officials. Not just by congress, by the way, how about term limits on the federal judicially. I don’t like life time appointments when the founders constituted the supreme court. The average age of an appointee was 47 years. Average life expectancy of a male of that time was 54 years. That meant that they didn’t expect these guys to serve very long and they certainly didn’t expect them to affect the course of American jurisprudence for 20 or 30 years like we have now. So, the idea of rotation on the court really appeals to me and frankly all federal court provisions. So, rotation on the court, I mean, the supreme court was meant to be a non-political office, so that’s why they get those life time terms. What would a rotation look like? For example, it could be set up like this that they get 2 consecutive 6 years terms. 2 back to back or 1 12 year term and every cycle three of the justices are off and they’re rotating off the court. So, you could be rotating off three justices at a time, so every 12 years you come on, you’re there for 12 and then you’re off. Then we know we won’t get these wild swings in jurisprudence that are made by one justice or another. Yeah, interesting. It’s sort of hard for me to think about how that would work out in pratice in terms of the swings, but.. The best part is that idea that I just gave you, I don’t know, that’s one idea. I’m not that smart of a guy. I’m sure there are people who would come up far better ideas in a convention when we get a bunch of people together to debate it. So, how does this convention work? It’s an amendment convention? Yeah, it’s a convention for proposing amendments. That’s what it’s called under the constitution under article 5 of the constitution and basically the way it works is once 34 states apply for it we hold the convention. Each states send delegates. Those delegates are chosen however the state chooses. In other words, it’s true federalism. So, I come from California. A little bit whacky out here in the west. I think California would send 100 delegates I wouldn’t be surprised, because we have such a vast state with 6 different intro-sol over the state, but regardless of how many delegates you send, the state ends up with one vote. So, every state is going to get 1 vote and in the end they’re going to cast those votes and anything that garters 26 votes or simple majority is going to pass out as a proposed amendment. So, there might be a whole slate of amendments that come out, balanced budget, term limits, all kinds of stuff. One of my favorites is the idea of a single subject amendment, meaning that congress shall pass no bills that deal with more than one subject area. I love that idea too, because that would just eliminate the pork. I’m curious, speaking of pork, you know, Reagan wanted the line item veto, what do you think of a line item veto concept? I like the idea of a one line-item veto. It require congress and the president to be working together and those matters and that’s the way I think the founders intended it and, again, a line item veto is something you could propose in an amending convention. So, interesting. I mean, if you have a single subject rule, then you don’t nee a line item veto. In fact, that might give the president too much power. Just keep it to a single subject. I mean, that would probably be good enough. It’ll probably do the trick. You know what’s so great about this, you and I, just sitting here doing this interview we’re having this back and forth and you say something and I go, hmm, you know, I hadn’t thought about what you just said, about the line item veto versus the single subject amendment. This is what’s going to happen in the convention. People from all over the country getting together saying these are the problems we have with the way government is running, how do we address these problems? You’re going to have smart people sitting in a room together debating, I mean sure sometimes in a heated manner, sometimes in a very friendly manner, but you’re going to come up with some fantastic ideas that you and I individually could never come up with. No question about it. Okay, what else is on the table? Anything else or does that kind of cover it? I mean, I’ve heard so many good amendments. Another one is what they call, some people, the regulatory freedom amendment. The idea that anything that affects the American people in the economy according to OMB or the GAO at 100 million dollars of value or more, any regulation, has to actually be approved by congress. One of the problems we have in America is that congress pass these broad enabling acts and then the regulators actually do the real legislating. Frankly, I don’t really believe that’s constitutional. The founders certainly never intended for the congress to be able to give away its power to regulate it and to give that to other people. So, I’d like to withdraw that card and put it back in congress and say you actually have to go on record and vote on it on any regulation that imposes more than a 100 million dollar burden on the American economy. That actually sounds like a lot of money now a days for regulation, but it’s a pretty low threshold. Let’s get these men and women on record saying what they do and what they don’t support. Good point, good point. So, I mean, how likely is this? How many state do we have now? So, we just got started. This project go started 18 months ago. That’s just an idea. The idea was brought to me by Mike Farris who is the founder of the home school legal defense association also chancellor of Patrick Henry college in Virginia and one of the few guys to ever argue an article 5 case before the US supreme court. So, 18 months ago we started it, kind of did a dry run in the last legislative session in 2014. Passed it in Florida, Georgia, and Alaska. We’re looking good for Ohio in this session before the end of the year. We got it keyed up in about 25 states for 2015 expect that to jump up to 31 roughly by the time we hit legislative session in January. So, I think we’ve got a really good shot for getting it down. I mean, it’s not just a pipe dream. You’ve got folks like Mark Levin wrote the book Liberty Amendments. It’s all about the subject. Rush Limbaugh has come out in favor, Sean Hannity, Glenn Beck, Sarah Palin, Colonel Allen West, governor Bobby Jindal just indorsed. So, you’ve got the senator Tom Coburn of Oklahoma, senator Ron Johnson. You’ve got senator Mike Lee has come out in favor of article 5. Rand Paul has come out. This is a major, major movement in America right now. The momentum is much more than I ever expected. It’s really been extraordinary. I actually think we’re going to pull it off. I think we’re going to pull it off. I think there’s a good chance we’re going to pull it off in.. The problem is there though, most of those people seem pretty partisan, you know, what I mean? Like, if you’re a liberal listening to this, you think, oh God, you got Rush Limbaugh and Sarah Palin. They’re going to freak out and instantly dismiss the whole idea out of hand without even considering. No, I think that’s fair. The movement definitely comes from the right, because there’s nature reaction of the right to enlarge government, but it’s important to know, for example, we have something called the Assembly of State Legislatures and these are folks who have gotten together to draft the rules fo an amending convention. There are already working on this already. They’ve already had two meetings and they’re going to have a 3rd one in December in Washington, DC. It’s a bi-partisan effort. So, every committee in that Assemble of State Legislatures is had by a democrat or a by a republican. You know, if you polled the American people, 60%, it’s not just republicans, not just conservatives, think the federal government is too big and is out of control. So, for my friends on the left side, one of the things I tell them about this effort all the time. I think it’s really important. We just had the republicans take control of the senate in a pretty hard way. A pretty strong way. Republicans took control of more state legislatures than ever before. Literally now control both houses in 31 state legislatures. Democrats only control 7. We may, I don’t know, we may elect a republican president and much to the horror of my friends on the left, maybe it’s somebody like Ted Cruz, who, you know, they consider a right-winger. Well, if that’s the case, do they really want a government in Washington, DC telling them, them meaning liberals in liberal states what to do? I think the answer is no. I think the answer should always be no for my friends. My crazy friends here in California who I love dearly and disagree with their politics vehemently. If they’re in control of the state of California, they should be able to run a liberal politics. Where in the socialist republic of California do you live? I live up in the foot hills in the Sierra mountains sort of directly between Sacramento and Lake Tahoe. Okay, because I grew up in southern California. L.A as a kid and then Orange County as an adult. Yeah, I grew up in the San Fernando Valley. Went to school in San Diego, so I stayed in California my whole life. California is real interesting demographically and geographically, because what you have is you have these vast population centers, San Diego, and more so Los Angeles and San Francisco that drive the politics. Geographically if you look at the state about 85% of the land mass in California is demographically conservative. So, it’s just an unusual economy. We actually see that more in states now. The more rural areas are very conservative, the urban areas are very liberal. Of course, that’s why the population base is so that tends to drive the politics, but we saw in the last election an extraordinary swing saw. States like Massachusetts and Illinois elected republican governors, even they’re tired of the left wards sing. We saw a state like my sister’s state over the boarder in Nevada, right, Harry Reid territory and much to our shock and our surprise I was there a couple of weeks before the election. No body anticipated both houses and the govern in Nevada now all republican. I mean, that happened, we had a republican governor and now we got both houses, so that’s happening all across the country right now. I don’t think it’s because people are in love with republicans. I think it’s because people like the idea of limited government. People are sick of big government intrusion on their lives and on that mark, they see republicans as better. They see republicans talking about limiting government. Now, the question is will the republicans do it. Yeah, we will see. To me it feels like two sides of the same coin with the republicans interfering with me a little bit less, but they’ve moved so far to the left already, but I don’t know. We’re in total agreement. I agree with that and I think most citizens agrees with that. So, if that’s the case, I think what you said 1000% accurate, if that’s the case, then elections aren’t enough. I mean, it tells us. If we believe the republicans are doing the same stuff, then elections don’t fix things. Very good point. Elections aren’t enough and, you know, everybody saw, ohh I voted, whoopie doo. I don’t want to say don’t vote or discourage voting, but c’mon. No, we need them to vote, because we want the best people in place that we can possibly get, but we can’t expect them to solve the problem for us. It’s always been up to the people. That’s the way the system has been designed. We expect it and engage it a lot greater the system wouldn’t work and so what we have is we have this tool of Convention of States that gives us the power to restrain these jokers in Washington, DC. They’ll never restrained themselves. I don’t care who the president is, I don’t care what our majorities are in congress, they will not restrain themselves. That’s what history shows us. For sure, the way we’re seeing it in DC right now. Yeah, we’re getting far too close to absolute power. I mean, it’s just ridiculous. So, give out your website and tell people where they can find out more. Sure, people can go to ConventionOfStates.com. It’s not just find out more, it’s really important that people understand that no body is going to save this country except for you. I don’t mean that figuratively. I mean it. No body is going to save the country except for you. The question is, at the end of your days, are you going to look at your kids and your grand kids and say, you did absolutely everything you could or are you going to say I voted? You know, I voted for the right people and if that’s what you’re going to say then you gotta know, you’re throwing up your hands and you’re really telling your kids you gave up. You knew they were going to lose their country, your grand kids were going to lose their country and you were okay with that. You can’t be okay with that. You go to Convention of States. You get involved, you join the movement, we do an end run around congress and the president and, of course, we restrain these jokers in Washington, DC. Good stuff. Well, sounds like a good plan to me. You know, I’m curious, I have predicted for many, many years. A long time ago I made this prediction and not necessarily saying I wanted it to happen, but like you said, it doesn’t seem like the elections are fixing much of anything. I’ll tell you my prediction first. Within my natural lifetime and many people listening, I think we will see a serious secession movement and I think we will see a successful secession of at least one stage and my guess would be Texas would be the first to go. If it did go, Texas would become the Hong Kong of the United Sates. You know, I think it’s plausible. I think the only way out of it is if we are able to reform the federal government. I mean, this is why this is so important to me, because I don’t think secession is the best thing for the country. I think keeping up the union together like a lot of blood has been shed to keep this country together. I think it was a wise thing to keep this country together. I think it’s demonstrably wise in what this country has accomplished and I personally be that the United States has its brightest days ahead of us if we can get back to what made the country great. What the country made this country great was not the idea of unlimited government, it was the idea of limited government. The idea, the citizen was larger than the government. The citizen was sovereign. We’ve largely lost that in our system today. If we can recover that, I believe there’s a renaissance ahead of us and I don’t say that lightly. We are, right now, going through a technological boom like nothing ever before seen in human history. Our ability to communicate, everything is devolving power naturally. The mainstream media is getting less and less powerful because of shows like yours, right. You can do this. It doesn’t take a millions of dollars of equipment, it doesn’t take of support. Until they find the kill switch and they’re looking for it. Exactly! Right now though, media power is devolving. Technology is devolving power away from the center and out to the masses. I call it the democratization of everything. I think that’s a fantastic…I’m writing that down. No! Do not take that, because that’s going to be the name of my TED Talk. Well, I’ll give you credit for it. Well, I think we are. I think we’re seeing the democratization of everything and what that equals to me is nothing less than the second renaissance if government doesn’t clamp down on it. It is a huge if. If government clamps down on it, then i think you’re right, I think things point to a secession movement. If government doesn’t clamp down on us and if we can push back against it. If we can literally open things up the way things were intended to be, I think we’re going to see an extraordinary renaissance. Not only in our country, but when America leads the rest of the country or the rest of the world follows. So, they’re either going to follow us into darkness. Reagan said, are we sentencing our children to take the first step into a thousand years of darkness or are we going to meet our rondevu with destiny or are we going to step up and make sure that doesn’t happen. Good stuff. Well, I hope this renaissance comes and I think the thing that people need to leave this interview with thinking and understanding is regardless of what side of the political spectrum you’re on, you must inevitably believe this because history has born it out to be true every single time and there’s this simple concept. The larger the government, the smaller the citizen. The larger the government, the smaller the citizen. I don’t think anybody wants to be small, right. We all want to be big and have big rights and when the government gets bigger, our rights contract and make it smaller. That’s it and that’s what we’re fighting for, left or right. I’ll stand and die with my citizen friends on the left for their right to decide about what goes on in their own lives. That’s what I believe in. Left, right, center, it doesn’t matter to me. I’ll fight on my own community. I am more of a right wing kind of a guy in my own community. I’m going to fight for that kind of stuff, but at the national level, the real question in America today is who decides and the real answer should be the citizen. Well, Mark Meckler, thank you so much for joining us. This has been very informative and lively discussion and I am looking forward for this renaissance. Thanks for joining us on the show today. Thanks for having me and we’ll keep you posted.